We thoroughly explore the needs and wants of every client and address them in a way that shows technical excellence and exceptional concern for the client’s comfort. We deliver a world-class level of preventative and restorative dentistry to our clients with compassion and understanding. We believe our competent, caring staff deliver value through excellent diagnostic skills and the efficient use of the best quality materials. The ultimate benefit to our client is to have teeth that are attractive, functional and comfortable for a lifetime. By serving and fulfilling our client’s dental and emotional needs, we help our client get the best possible long-term results and satisfaction with their dental treatment. We believe in an honest, open and thorough communication with our clients at every appointment. Clients Who Appreciate The Best Our Reason For Existence. 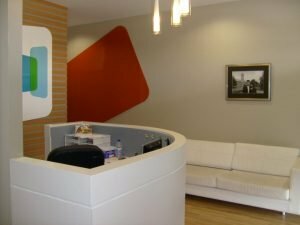 It is our goal to help each client develop an awareness and desire for the optimal dental service that we deliver. This is the kind of care that we provide for our families and ourselves. 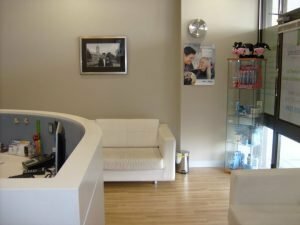 Our clients know that the treatment we recommend has been personalised to them and is in their own best interest, but realise that they bear the ultimate responsibility for their own oral health. Accepting this responsibility allows our clients to see a long term return on their investment of time and money. In return for our best efforts, our clients agree to follow our advice, keep their appointments and meet their financial obligations. Only the highest quality staff will do. These are people who are excited about what they do, motivated to achieve results, have high standards of quality and integrity, are committed to Captivate Dental and are interested in being long-term contributors. Personal initiative and extraordinary effort is recognised and rewarded. Our staff work well as a team at all times and are always willing to help one another to complete a task. Teamwork There is no “I” in Teamwork. Teamwork means everyone functioning together smoothly in pursuit of our Mission. 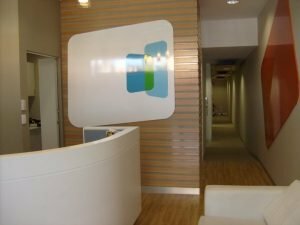 Our rule as a team is to build and maintain a relationship with each client that will enable them to have a quality experience at Captivate Dental. In order to do that we must put aside our individual needs of the moment and look beyond our own job description. 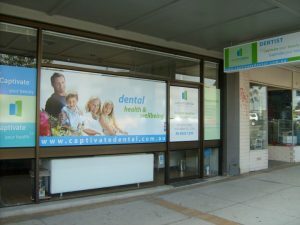 The team recognises its responsibility for the quality of the life at Captivate Dental. This requires confrontation of behaviours which are not consistent with our philosophy, treating each other with respect regardless of our inevitable differences and resolution of conflicts between individuals without creating factionalism. Working towards harmony is an essential part of every staff member’s job. Sound Business Management Keeping Success On Track. Good sound business principles are followed. Fees are determined by the need to make a profit and to provide an adequate return on the substantial investment required to maintain Captivate Dental. Fees also reflect the fact that the best staff deserve to be well compensated and that the highest quality materials and services are more expensive. The main consideration in a staff member’s compensation level is on performance rather than longevity. Staff are provided with necessary information to know what it is expected of them. They understand profitability and assist in monitoring the statistical trends of the practice. The Future Growth Through Ongoing Education & Experience. Our commitment to excellence is a dynamic blend of taking action now and making deliberate plans for the future. Dentistry is a rapidly changing discipline. By recognising that change is inevitable, we will meet it with flexibility while remaining true to our philosophy. We will grow together through the experience we gain from our daily challenges. We are committed to rigorously evaluating new products and procedures and to constantly educate ourselves so that we may provide appropriate world-class treatment at all times. All staff are expected to attend whatever courses are deemed necessary to function at the highest level. The leader provides an atmosphere that is conductive to growth and learning and makes the financial investment necessary to promote this growth. Visionary leadership provides inspiration, support and encouragement which enables everyone to reach to new heights. The leader serves the team by gaining feedback about each staff member’s performance (including his own) and using that information to ensure focus on the Mission. The understanding that every human being deserves acceptance because of his or her intrinsic value does not deter the leader from identifying and confronting inappropriate behaviours. The leader provides a forum for the free interchange of ideas, where a problem or mistake becomes an opportunity to learn and blame is unacceptable. The leader understands that personal growth and change is often uncomfortable but is willing to face that discomfort in himself and others as this is the price of striving for excellence. Each person is ultimately responsible for his own happiness. The leader provides the environment for that to occur by continuously challenging himself. We realise our true purpose by pursuing excellence in everything we do, in our jobs, our communities and in our families. It is by these ideals stated in this philosophy that we must stand.